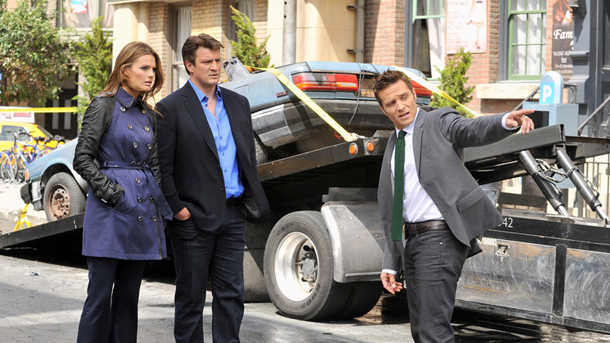 I spoke with Seamus Dever about his role as Detective Kevin Ryan on Castle. Castle has recently been renewed for another season. Thank you, ABC! You are not going to want to miss the season finale on Monday. Seamus spoke a bit about the finale, Ryan’s undercover work, his Last Supper List, and so much more. Seamus is not only a very talented actor; he is a handyman extraordinaire. Follow him on twitter (@seamusdever) to see what he did to his garage door. Seamus and Nick Offerman should join forces and rule the world. Seamus also helped some animals find new homes at a recent Best Friends Animal Society event. It was such a pleasure to speak with him. Don’t forget that you have a date with your television on Monday night at 10/9c. Lena: Did you bring home any new friends from the Best Friends Animal Society event that you went to? Seamus Dever: I didn’t. I wouldn’t dare bring home an extra dog without consulting my wife. We are terrible fosters. Every time we foster a dog we end up keeping it. We know that about ourselves, we get very attached. I didn’t take any home this time [laughing]. We have two dogs that are both rescues. Lena: The Best Friends Animal Society does wonderful work. Seamus Dever: They are a great group and I’m glad to be working with them. Lena: Congratulations on reaching the coveted 100th episode mark last month. Seamus Dever: Oh, thank you. Yes, that is quite a milestone. Lena: Castle definitely looks like a really fun show to be on. Seamus Dever: Absolutely, it’s a good group of people. We are always having fun and I think it shows. Lena: Can you share any funny behind-the-scenes stories? Seamus Dever: The other day Jon (Huertas) and I shot something, and I’m not going to say what it is, but it’s a surprise for the fans and they will know more in the fall about it. We shot something that was sort of in the works for a year and it was fun. Jon makes me laugh a lot. We are both so different but we are alike in so many ways. We shot this thing for eleven hours. I really hope that the fans like it because it was all from our imaginations. There are so many stories. We have so many late nights and we’ve all been there. It’s one of those things that Nathan Fillion is a good leader and he’s always very complimentary on performances, and he’s always really concerned about doing the best show. We ask each other a lot of questions like – Give me a better way to say this. Is it funnier if I do this or that? We bounce choices off each other a lot and it’s very collaborative. As far as funny stories, I don’t know, all I think of is really long hours and still being able to have a laugh at the end of the day with these folks. Lena: This has been a really exciting season for Kevin Ryan. Seamus Dever: Yeah, Ryan got to do a bunch of fun stuff. He’s growing up a little bit. I think this was sort of the season of maturation; it’s what I started out as a goal that Ryan I guess becomes a man. There are a lot of symbolic milestones along the way where Jenny (Juliana Dever) and Ryan are talking about starting a family. There is a great episode (“The Wild Rover”) where Ryan gets tempted from his past. It’s one of those things where symbolically he is his leaving his past and moving forward in the future and I think he proved himself in that manner and actually made all the right choices in that episode [laughing], and didn’t get killed in the process. He gets to be a little bit of a badass. I think we are still learning about Kevin Ryan. I think that everything is still an open book with him. There are so many things that we can still cover, so it will be exciting to see when next season comes around. I think we were able to surprise people because they have a perception of who Kevin Ryan is and we did this whole different thing, and I think that the writers are getting hip to the fact that we can do some stuff. There is still stuff with Esposito that we haven’t covered yet. Hopefully, we will see more of that development because it’s always fun, as an actor, to be able to pull this stuff out. That was in episode ninety-nine that we did that, so I like surprising fans. Lena: Did you enjoy exploring the Irish Mob storyline, Ryan’s undercover work? Seamus Dever: Oh yeah, it was fun because I got to be, not a different character, another side of Kevin Ryan. I chose to do it not as him being a badass mobster, but this is a side of him that is a lot more confident. It had nothing to do with police work; it had to do with him calling people’s bluffs and him being able to outthink the people around him. 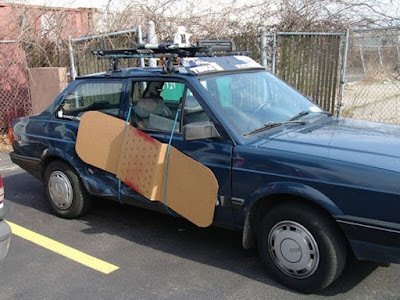 It showed his street smarts as well. That was a lot of fun. I loved doing that. I’ve been asking for them to do an undercover episode for like four years now, so I’m glad that it finally came to fruition. Lena: I tend to like the lighter episodes because you get to find out more about the characters and their quirks like that Kevin Ryan is a Curious George fan. Seamus Dever: Yes. The line in that scene was one that I improvised. When I say that, “George would never do that.” It was when they left the scene and Ryan was still stunned about a chimpanzee ripping someone’s face off. It was an improv and it made it. It cracks me up that that made it. It was just something off-the-cuff. Lena: How does it feel being referred to as The B-Team by Lanie (Tamala Jones)? 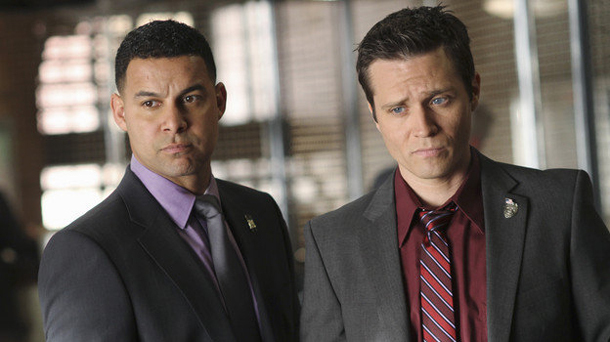 I think Ryan and Esposito are underrated. Seamus Dever: It’s one of those things that from the very beginning Jon and I got together and we made this silent agreement where we realized that the best way to get people to endear Ryan and Esposito is to stick together and really make something of that partnership. That was something that Jon and I were into. We take cues from the writers, as far as the situations that they had us in, but it was really that there is Castle and Beckett (Stana Katic), they are all supposed to be partners in reality but it’s more like Castle and Beckett – The A-Team – and Ryan and Esposito – The B-Team. Jon and I set out to make this identity that we weren’t just the two other cops on a show because a lot of times it felt like that in the beginning. We wanted it to be that we were smart, we get along really well, we bicker like a married couple, and that kind of thing. We wanted to make them an identity and I think through time, enough scenes together, and enough fleshing out the characters it became that we had an identity. I think people really started liking that. Does it bother me that they are referred to as The B-Team? No, not really. That’s something that I’ve been aware of for years. It’s one of those things but fortunately now they let Ryan and Esposito do some interrogating. They let us go out on the field. It’s becoming like half-and-half lately, which is cool because I like doing things. I don’t like just being the guy that comes in with a piece of information at the precinct. It’s nice to go out and interrogate people, question people, and go out into the field. I’m happy about that. I finally got to go to the morgue. Lena: What would you say are their biggest selling points – something that Castle and Beckett don’t have? Lena: It must be great working with your wife. Seamus Dever: She’s a lot of fun. She’s a really good actor. I’m blessed that they gave her the opportunity to be Jenny. Lena: Are we going to be seeing more of her? Seamus Dever: I hope so. It’s one of those things that she finds out about a month before she comes on. I’m told that Jenny will be coming back. Lena: In the spirit of Castle questions, who is on your Last Supper List? Seamus Dever: It would have to be people that are good conversationalists. Mark Twain would be good. Was he on Castle’s? I have no idea. It would be someone like Richard Burton. He would be cool. T.S. Eliot, he might be really quiet. He would probably be a really crappy guest – he would probably do a lot of observing. Neil Armstrong would be neat. He would probably have some good space stories. I can’t think of anybody else right now. Lena: How about your three favorite con movies? Seamus Dever: The Usual Suspects counts as a con movie. Quick Change with Bill Murray, that’s one of my favorite movies. I don’t want to say The Sting. It was good but everybody says The Sting. Let It Ride was awesome. Lena: I know you can’t give too much away, but what can you say about the finale? Will it end on a cliffhanger? Lena: You’ve had so many guest stars on the show, so who have been some of your favorites? Seamus Dever: We had a great guest star this season Ioan Gruffudd. He was in “The Squab and the Quail” episode. He was a lot of fun. As it turns out we lived in the same neighborhood, which is kind of cool. Michael Trucco and Adrian Pasdar – those guys were really cool. Anytime you get to sit down with some folks in between scenes and setups and have some good conversations – that is a lot of fun. Still my favorite guest star of all-time was an actor named Eddie Shin. He played Johnny Vong in the second season in the “Sucker Punch” episode. He was very good and a lot of fun. It’s one of those things were an actor comes on the show that may not be a household name but he does a really good job. Go watch the second season again because you will see some amazing stuff. He shot this whole infomercial thing and he had this huge monologue where he was presenting something to the crowd at a motivational seminar and it was like ten minutes long. I think they put it on as an easter egg on a special feature of the DVD of that season. Go back and watch that. He’s very funny and probably one of my favorite guest stars of all-time. Lena: Have you met Kevin Ryan from Copper? He knows about your character. Lena: He should be a guest star on Castle so he can introduce himself on the show as Kevin Ryan. Seamus Dever: [Laughing.] That would be pretty funny. Seamus Dever: Vacation. I have nothing but vacation coming up. It’s nice to have some time off.